While dragons, vampires, sorcerers, and elementals may not be real and I can take extreme liberty in my writing with regard to them, wolves are very real. 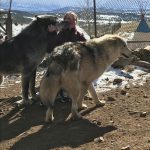 I’ve researched wolves and their behavior, learned as much about their pack dynamics as possible, and even had some one-on-one time with quite a few. 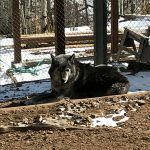 There are a few different wolf rescues in Colorado, but Mission: Wolf is by far my favorite. I’ve included several photos from my visit there yesterday. 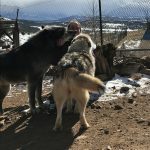 Located in the mountains of Colorado, Mission: Wolf is a rescue that is completely reliant on donations and volunteers, and have managed to create a sustainable environment. 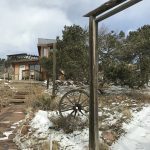 Every building on the property has been built using donated materials by volunteer hands. 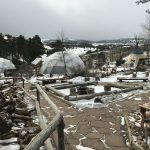 Among the natural wolf enclosures, you find green houses, tipis, and gardens. When guests arrive, they are given a tour of the grounds where they are introduced to the wolves and educated about them. 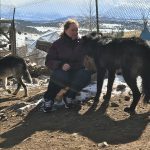 At the end of the tour, guests are given the opportunity to actually visit with a few of the more human-friendly wolves and get a hands-on experience. Wolves have great memories and even though this was only my third visit in a year, they remembered me. Many thanks to Natasha Snow for the gorgeous artwork. I am loving this cover. I’m so excited that I had to share the news. 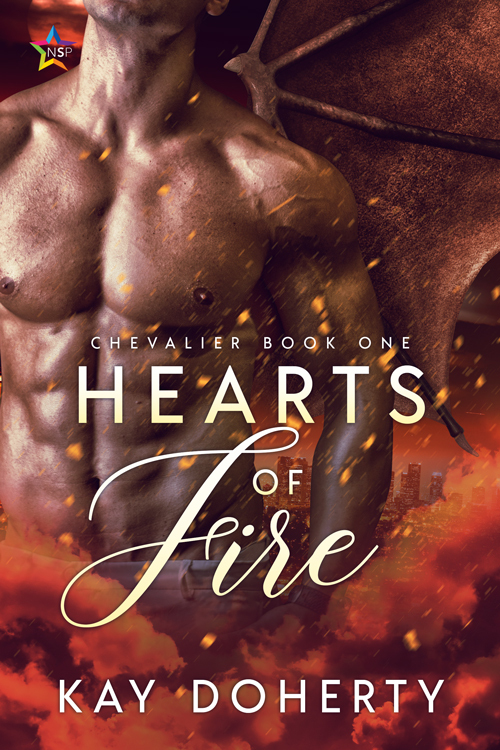 Hearts of Fire, book one in my paranormal romance Chevalier series is due out soon from NineStar Press. Got a look at the cover by Natasha Snow and it is gorgeous. I can’t wait to share it with you. Writing these books has been a learning curve for me. Hearts of Fire started out as a short story meant for an anthology, but it continued to grow and I fell in love with Tanner and his pack of wolf-shifters, dragon-shifters, and other paranormal beings to the point that one book simply wasn’t going to be enough. I had to write ALL of their stories and I hope it fills you with the desire to read all of their stories. They’re a great pack of paranormal men with big hearts and incredible power facing some of the same crap we mere humans suffer except on a much grander, magical scale.